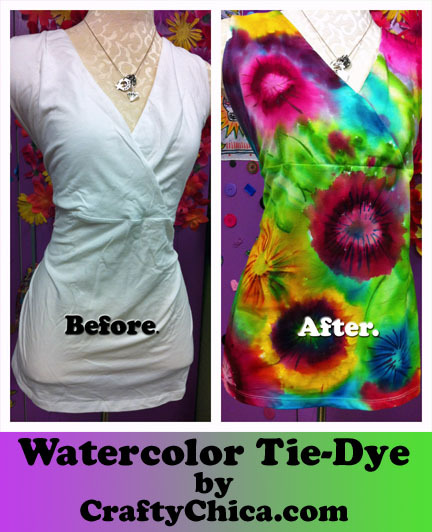 iLoveToCreate Blog: CRAFTY CHICA: Watercolor Tie-Dye Flowers! CRAFTY CHICA: Watercolor Tie-Dye Flowers! A couple years back, I saw Alisa Burke's gorgeous Tie-Dye Watercolor Tunic and knew I wanted to try the technique! When iLoveToCreate came out with the new watercolor kit, I knew it was time to whip up some juicy flowers! Here is my video tutorial. I hope you like it! BeeYOOtiful! Thanks for sharing. Looks like fun, too.